Sean Hannity has a problem, and we’re not just talking about the fact that he’s a punchline even by Fox News standards. Hannity very much appears to be caught up in one or more of Donald Trump’s scandals, in ways that are still coming to light. That includes Hannity’s decision to rely on Donald Trump’s fixer Michael Cohen in some kind of legal capacity, prompting Cohen to list him as a “client” in court. Based on what we’ve learned today, things could be about to get very ugly for Hannity. Earlier today the New York Times revealed that Michael Cohen secretly taped his conversation with Donald Trump about paying off Trump’s mistress Karen McDougal, and that the FBI now has that tape. CNN then confirmed that the FBI has multiple such tapes of Cohen and Trump. This tells us that Cohen made a regular habit of secretly recording his clients whenever they were asking him to do something that he worried might blow back on him. And according to Cohen, Hannity is one of his clients. You see where this is going. Sean Hannity claimed months ago on Twitter that he only relied on Michael Cohen for some innocent legal advice regarding real estate. But Cohen has a reputation for being a terrible straight-up attorney, as he graduated from one of the worst law schools in the nation, and he has virtually no active legal clients. Instead, Cohen’s reputation has long been built around his ability to act as a “fixer” to make scandals go away. So either Hannity was stupidly relying on a bad lawyer and good fixer for legitimate legal advice, or Hannity was relying on Cohen for some kind of “fixer” work. The bottom line is this: based on what we’ve learned about Michael Cohen’s pattern of behavior, it’s likely that he secretly recorded his conversations with Sean Hannity. And based on Cohen’s penchant for leaving these tapes lying around in office, where the FBI could seize them, the Feds likely already have any such tapes of Cohen and Hannity. 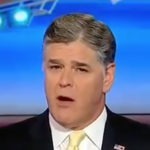 If Hannity did indeed only ask Cohen for legitimate legal advice, that’ll come out. But if it was something else… suffice it to say that Hannity has a problem on his hands.